personal care product ratings, including Nioxin Shampoo, skin care, online eye glasses retailers and more. 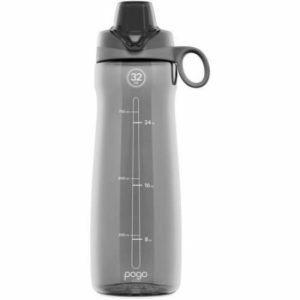 This is one of those products that you must have once you find out how cheap and useful it is. The Panasonic Nose Hair trimmer can be purchased for just slightly under $10.00. 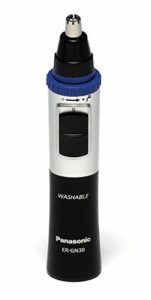 When I purchased the Old Spice Shaver, the one thing I immediately realized I was missing from my Wahl Groom Kit was the nose-hair and ear-grooming attachment. This handy little device made it easy to keep the nose and ears groomed. Thankfully, I didn’t have to pay an arm and a leg to replace what I was missing. The Old Spice Shaver for men is an electric, cordless shaver made by Braun. In the last few years, I’ve feverishly searched for a cordless, electric razor that is versatile enough to trim both a short beard and also maintain a close shave. I’ve tried two other Wahl Razors and both of them conked out after a few months of use. Also, I didn’t care for the flimsy attachments that were a nuisance to take on and off. What sold me on trying the Old Spice Shaver was the fact that it is advertised as both an electric razor for a close shave and also a beard trimmer. Surprisingly, it is not so easy to find a mens electric razor that does both and does them well. The problem with the numerous electric razors that I’ve looked at is that they require numerous attachments for trimming the beard which keeps a fairly good sized mess on your bathroom counter. When I looked at the Old Spice Shaver reviews on Amazon, I quickly saw that it comes with only two attachments. 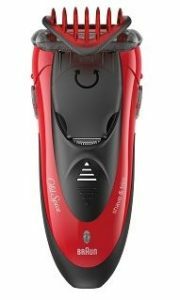 How does the Old Spice Shaver Work Work as a Trimmer? 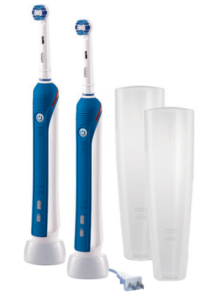 Oral B Professional Care 2000 is a dual-handle, rechargeable, electrical toothbrush designed to remove more plaque, and polish teeth significantly better than the hand-brush method. 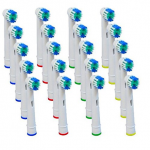 On the box, the claim is printed that the Oral B 2000 will remove up to 5x or 400% more plaque along your gum-line than the conventional toothbrushing method. Having personally used the Oral-B Electric Toothbrushes for a few days now, that claim is very believable. The latest Oral-B is nothing like your father’s electric toothbrush that merely vibrated quickly against your teeth. I was very skeptical about investing in an electrical toothbrush based on my past experiences with them generations ago. I was pleasantly surprised. The Oral B Professional Care 2000 brush oscillates, rotates, and pulsates at a surprisingly high and powerful RPM. Because the rotating brush is so powerful, it allows you to get to the back and inside of your teeth and gums effortlessly. The power of this toothbrush feels very similar to the polishing equipment used during teeth-cleaning visit to your dentist. I am apt to believe the claim this unit removes up to 5x more plaque. I can feel the difference around my teeth and gums. After one, single-use, I felt as though I had just been to the dentist for a complete teeth-cleaning.